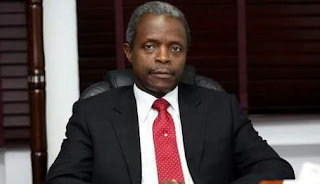 The Vice-President of Nigeria Prof Yemi Osinbajo has urged Nigeria youths to join politics instead of sitting back to complain about bad leadership in the country. Osinbajo gave this advice at the emerging political leaders’ summit which held in Abuja on Wednesday, 22th November. Represented by Babafemi Ojudu, special adviser to the president on political affairs, Osinbajo said it was not enough for youth to always complain. He said the youths needed to break the status quo by taking the chance to be elected and create the transformation needed. “Youth have a challenge in their hands for the future of our country; so, I advise you not to sit down and fold your hands and be lamenting over bad leadership or politicians,” he said. Get down to business, organise and do something to become elected political youths; after all, Enahoro became a leader in this country at the age of 23 and later moved a motion for the nation’s independence at the age of 27. Osinbajo however, cautioned the youth not to expect that from the day they start participating in politics, they would become the president of Nigeria immediately.